Do you know what year the first Thanksgiving was celebrated? 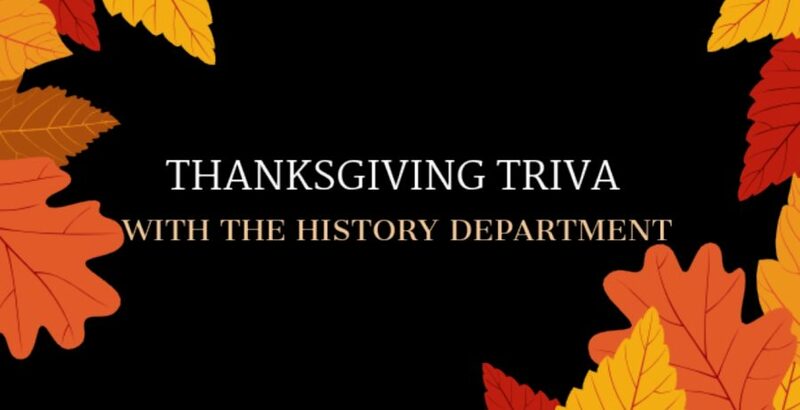 With Thanksgiving around the corner, we tested the History Department to see if they knew the facts about America’s past. The history teachers were paired together in teams of two, to prove which team knew more about this national holiday. Do they really know how the tradition of Thanksgiving came to be? Find out in this video!